Wind Energy - Kruger Inc.
Kruger Energy is committed to developing clean energy sources that will benefit our communities while having the least impact on the environment. Wind checks all the right boxes as a safe, reliable and environmentally friendly source of energy. As an added benefit, the development of wind farms also generates jobs and income for local communities. Global installed wind energy capacity reached almost 486,000 MW at the end of 2016. 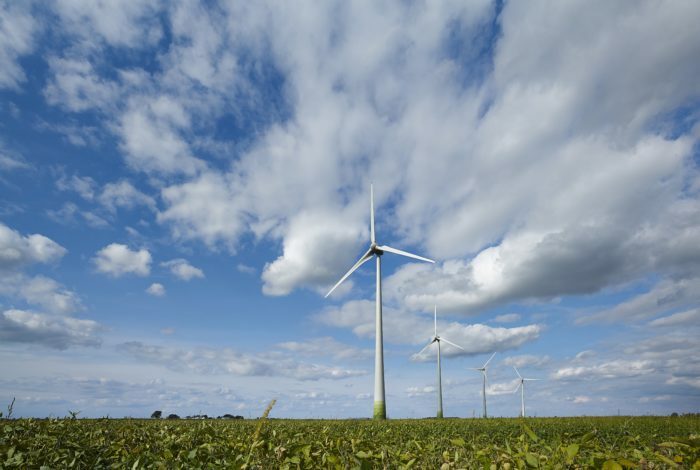 Wind energy currently supplies approximately six per cent of Canada’s electricity demand, generating enough power to meet the needs of almost 3.2 million Canadian homes. In 2016, Canadian installed wind capacity reached 11,898 MW. In 2016, U.S. installed wind capacity totalled 81,312 MW. 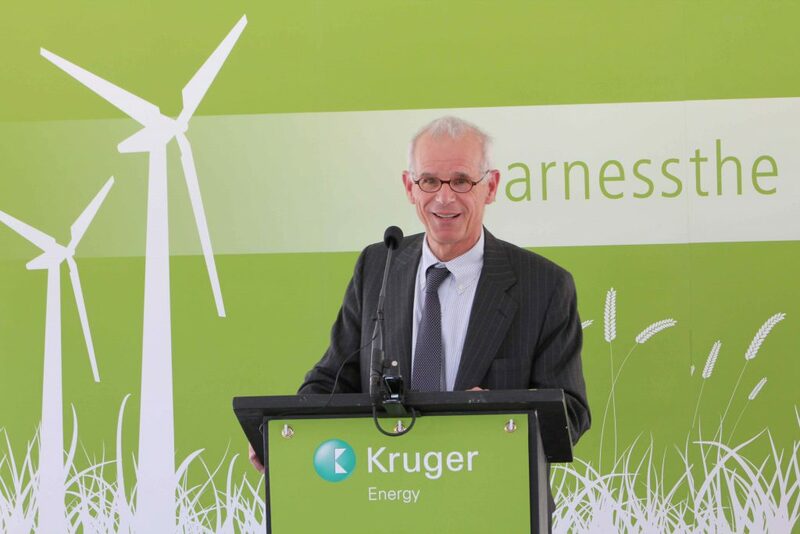 Kruger Energy developed, built and now operates three wind farms in Canada. 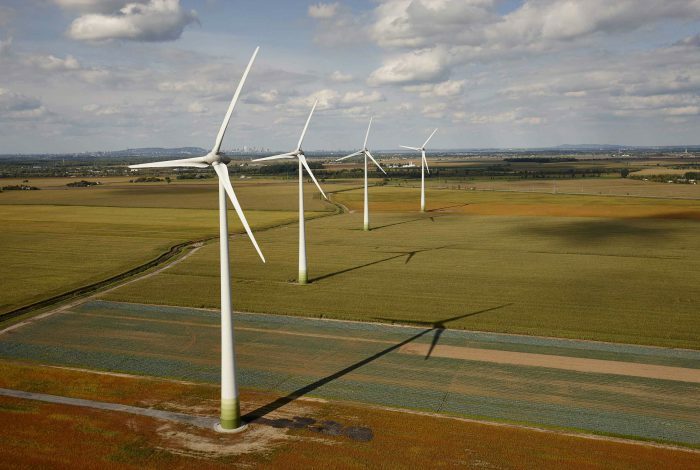 The first one was the Port Alma Wind Farm, a 44-turbine operation located in Port Alma, Ontario. Commissioned in the fall of 2008, it has an installed capacity of 101.2 MW and generates more than 300 GWh annually, which represents the power consumption of approximately 30,000 Ontario households. 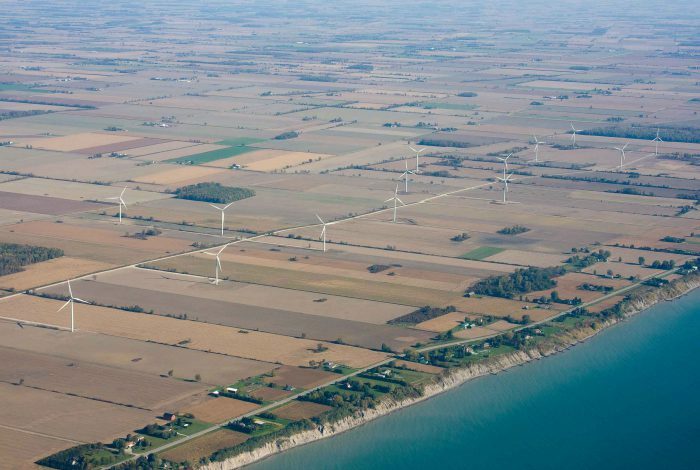 In January 2009, the Government of Ontario selected Kruger Energy once again to build a second wind farm in the Municipality of Chatham-Kent. The Kruger Energy Chatham Wind Farm was commissioned in late 2011. 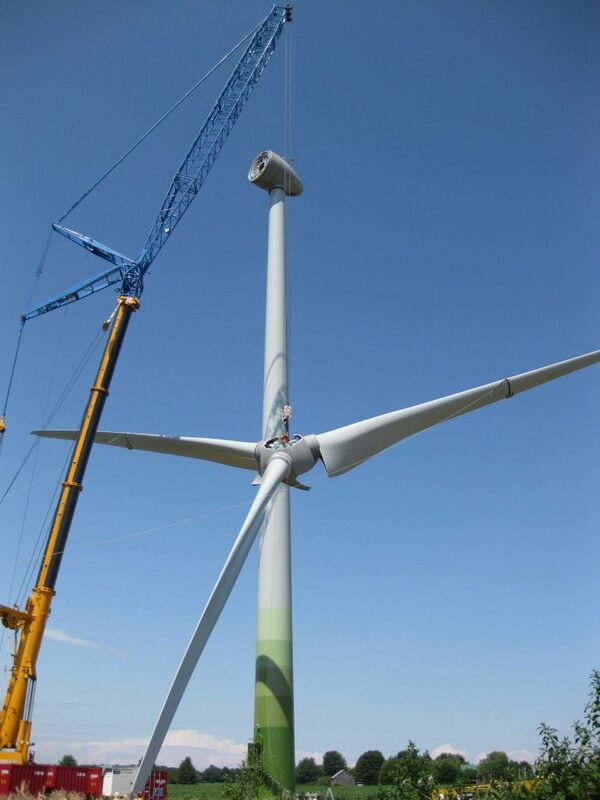 In 2011, Kruger Energy began the construction of its third wind farm in Canada, this time in Québec’s Montérégie region, which is adjacent to the Montréal Urban Agglomeration. Commissioned in December 2012, the 100-MW wind farm includes 44 turbines located in five municipalities: Saint-Isidore (19 turbines), Saint-Rémi (10), Saint-Michel (7), Saint-Constant (5) and Mercier (3).